The course layout spanning 6.695m (approx. 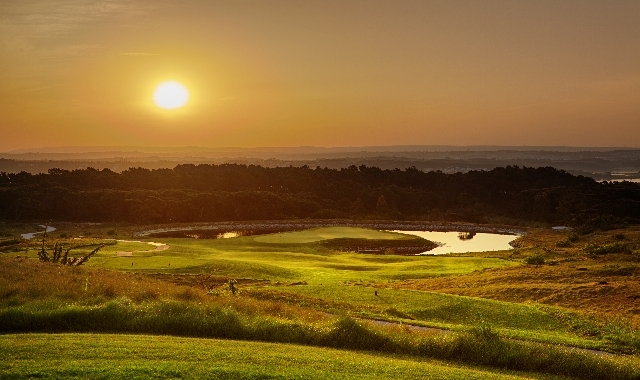 7.300 yards) off the back tees, will represent a true test of golf for players of all levels. 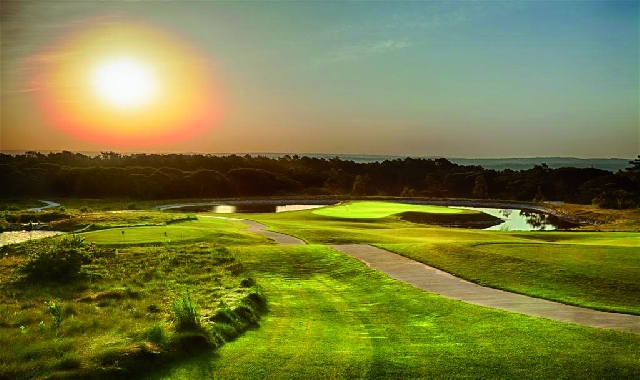 The first hole, a generous right handed dogleg, heads north, setting up a spectacular combination of holes overlooking the lagoon (Lagoa de Óbidos). 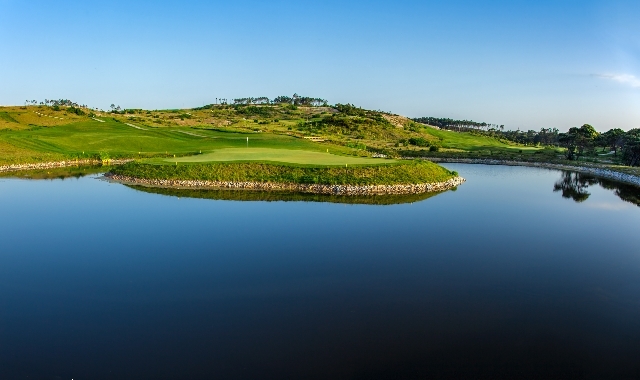 The feature hole of the front nine is the 3rd, a 144m Par 3 off the yellow tees to an island green, with the stunning Óbidos lagoon in the background. The second nine holes overlook the Atlantic Ocean. Six of the holes meander between an intricate ecosystem of lakes interconnected by cascading streams. 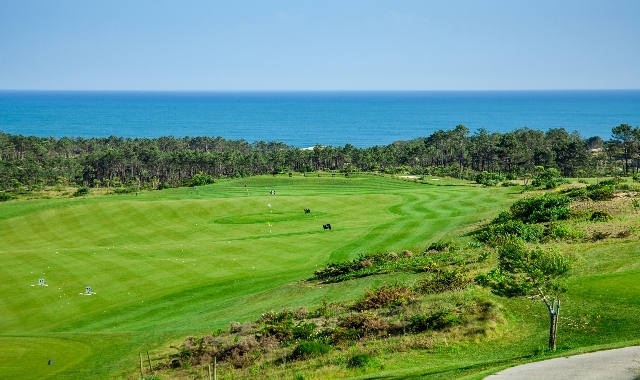 The highlight of the back nine is the 18th, a 490m Par 5 off the yellow tees, with a panoramic over the back nine, the clubhouse and the Ocean beyond. The clubhouse offers a restaurant with a variety of menus available, two bars, lounge, pro-shop and bags storage area. Sitting out on the generous terrace, owners and visitors to Royal Óbidos will enjoy spectacular views of the golf course and the cascading lakes and streams, ”and some truly wonderful sunsets” over the Atlantic Ocean. Because of the Golfhäftet card we booked a flight here. At the end the course even did us a better offer. 2 players + buggy for € 99 :)) was a nice and good course to play , with enough challenges and variation.